With Imagine Dragons being relatively new, we may be under the impression that we can identify to only a few of their songs. Well, the band was formed in 2008 and they never really penetrated the Philippine music scene until two years ago. Maybe their fans would disagree to that but if you're (still) not one of them, I advice you to dig into their discography. I really thought I only have "Demons" and "Radioactive" as the Imagine Dragons songs recognizable but I was surprised. I went to Spotify and a lot of tunes on their playlist sounded familiar. Because of the band's high level of musicality, those involved in video productions may have used their songs dozens of times. For example, I have used "It's Time" and "On Top of the World" as my background music on Flipagram in some of those travel posts. These tunes just lighten up the mood, mind you. 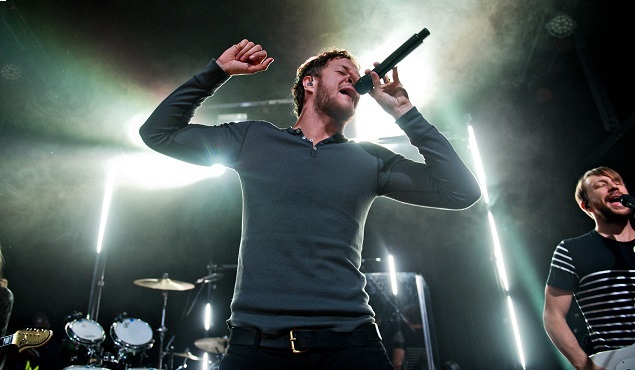 So if you are like me who was quite a bit worried if tonight is as fun as it should be, here are five songs that will make tonight a great night - My five favorite Imagine Dragons songs. See you later at the Mall of Asia Arena for the Philippine stop of their world tour. You can still purchase tickets from this website - SM Tickets.